Two new Firearms and Explosive Detector Dogs are ready to begin their careers in Tasmania. 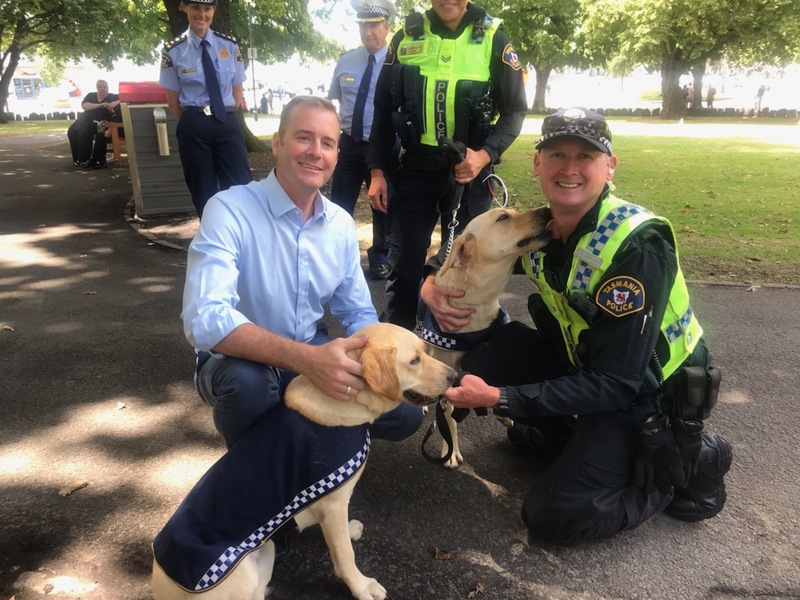 The Hodgman Liberal Government is committed to keeping Tasmanians safe, and the Dog Handlers Unit is an important part of that. The young Golden Labradors, Olson and Quinn, passed their eight-week course with flying colours, and will perform a vital service for police. This will allow current Explosive Detector Dog Cassie to enjoy a well-earned retirement after her eight-year service. She worked mainly in freight, passenger and vehicle inspections at the Spirit of Tasmania. Given both Olson and Quinn passed their courses, despite the usual success rate being only 50 per cent, Tasmania Police has been able to increase the capacity of its Dog Handling Unit. It now includes four Drug Detector Dogs and the two new Firearms and Explosive Detector Dogs. The Tasmanian Government is investing heavily in police to keep Tasmanians safe. We are employing 125 more police in the next three-and-a-half years, after already increasing the number of police by 113 in our first term of Government. We will continue to support police and provide them with the tools they need to crack down on serious crime, including drug and firearm-related offences.